Only six months ago we wrote an article about Microsoft replacing Hotmail with Outlook.com; now Microsoft have announced Windows Live Messenger (previously MSN Messenger) is to be replaced by Skype, which Microsoft bought in 2011. Messenger is being replaced globally, with the exception of mainland China. Currently, Messenger users can continue to use Messenger, upgrade to Skype or merge their Messenger account with their Skype account. After 15th March 2013  8th April 2013 all Messenger users will have to upgrade to Skype in order to continue using the services, but don’t worry – the process is fairly simple and we will run through the options (with pictures) below. You need to select ‘Microsoft Account’ from the right hand side, which is the account you use for Messenger. After logging into your Microsoft Account you will be given two options. If you do not already have a Skype account simply click the ‘I’m new to Skype’ button to convert your Messenger account into a Skype account. 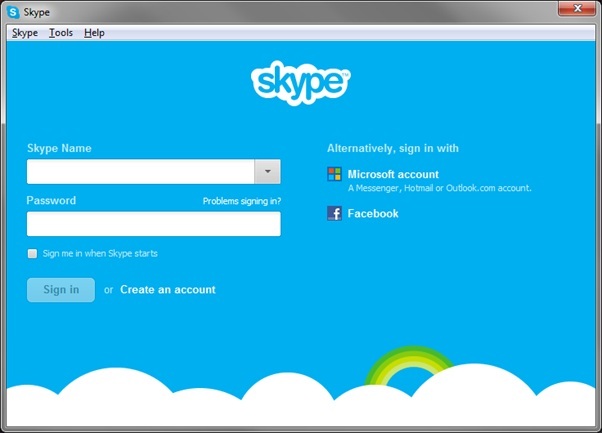 If you already have a Skype account then you have two options available to you. 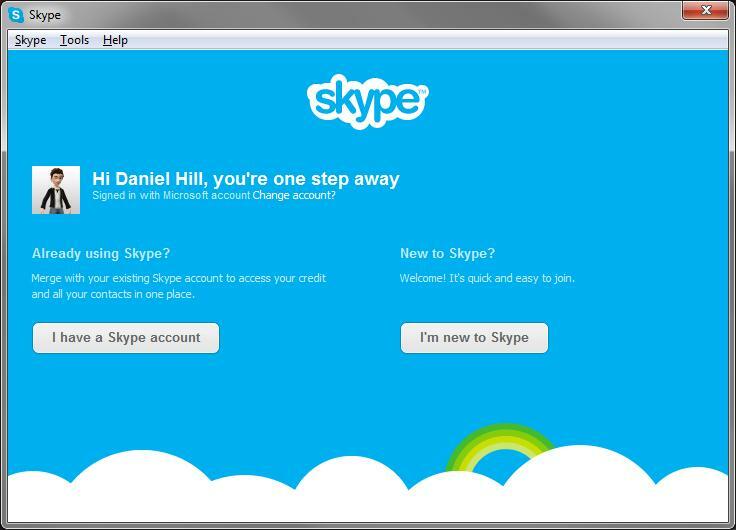 The option on the left, labelled ‘I have a Skype account’ will merge your existing Skype account with your existing Messenger account. The alternative is to convert your Messenger account into a separate Skype account by clicking the ‘I’m new to Skype’ button. Having separate accounts will mean you can choose which account to log into, but not both at the same time on a single computer or other device. This could be particularly important to some users as Skype lacks options for displaying different online statuses to different users or groups of users, despite being a popular feature request for many years. In fact, the only option available is to block contacts to whom you wish to appear offline. After you have either merged or upgraded your Microsoft Messenger account you will be able to use Skype to communicate with all your contacts, regardless of whether they are still on Messenger or have upgraded to Skype. Microsoft really appear to be rebranding everything they have to offer. The 2D panel design used on the new Windows 8 start menu (originally branded ‘Metro’) has gradually been applied across the board: computers, smartphones, tablets, games consoles, software, websites and even the Windows logo itself. On top of this Microsoft have been clearing out old offerings, with very well-known services, such as Hotmail and Messenger, being retired. For many, myself included, Hotmail and MSN Messenger were a staple part of early online social networking and it feels like an end of an era to see them go.